"Soprano Suzan Hanson (Madeline) sang full-blooded, voluptuous vocalises, moving gracefully like a dancer." "Intense dramatic chemistry and physical teamwork between Ryan Macpherson and soprano Suzan Hanson bring this merged personality to spine tingling life. Madeline’s evil impishness and her grasping, desperate, constant attempts to get inside Roderick’s skin will make the hair on the back of your neck stand up." 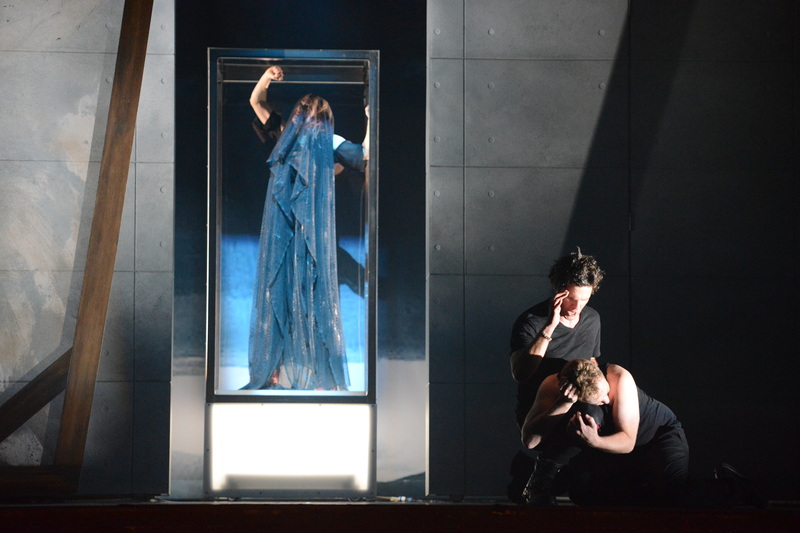 "Soprano Suzan Hanson is chillingly effective as the mysterious Madeline, not least when she frantically tries to escape the sealed coffin in which her brother imagines he has buried her alive." "Hanson’s role is far less direct than those of her male counterparts. Although she is listed as Madeline, for the majority of the play she is something far more vague and far more pervasive: she is a spirit that haunts the House of Usher, muting and infecting all who enter without ever being consciously perceived. Hanson is all sound—she does not sing a single word—and yet there is never much doubt about what she is imparting. Hanson is an LBO staple, and it’s obvious why." "Soprano Suzan Hanson, who created the role of Madeline a quarter century ago, makes the sounds and movements of her wordless part both frightening and compelling." "It has become one of the reliable pleasures of Long Beach Opera to hear Hanson ranging across its daring repertory, and while she makes a more womanly wraith than customary in the many film adaptations, her vocal power and sinuous physical movements transforms a spiritual concoction into a dynamic, even frightening, presence." 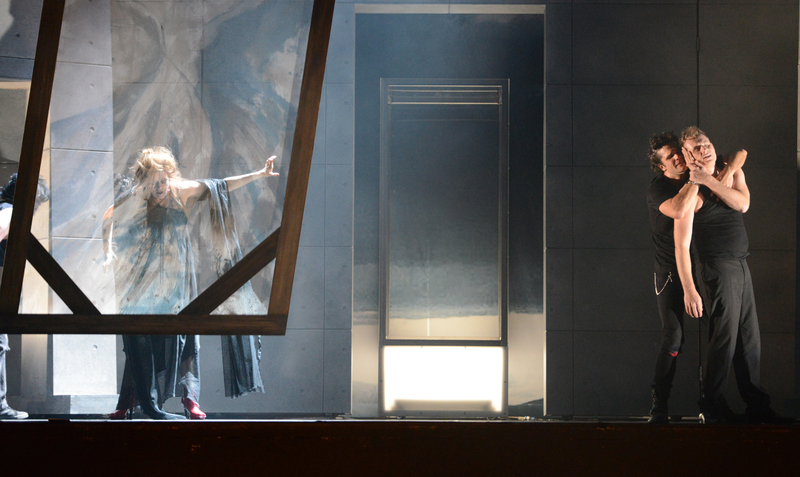 "However, the opera’s camp element is left to Suzan Hanson as Madeleine, and Hanson nails it. Instead of a corpse hidden away, Glass and Cazan imagine Roderick’s sister as an omnipresent apparition provoking the characters’ split psyches. Hanson’s Madeleine is present for what feels like every second of the play, wailing the libretto and stealing the scene without disrupting it. In a memorable sequence, she crawls between Roderick and William as they attempt to eat dinner, writhing on the glass table and doing her best Helena Bonham Carter impression."